Perhaps one of the most popular ways of using kratom is brewing it into tea. Kratom is a plant from Southeast Asia and it has many purposes. Kratom tea, besides the raw leaf, liquid and powder extracts, also has many benefits. The alkaloids that are found in kratom release faster after they are heated with water. The alkaloids reach the bloodstream much faster when you drink the tea and the effects have a more rapid onset. Even when they are exposed to very high temperatures, the alkaloids in kratom stay undamaged. When taken at lower doses, kratom tea is a little energizing and stimulating and can be used to replace energy drinks with too much caffeine. When taken at higher doses, kratom tea is sedating and relaxing. Drinking kratom tea has many benefits, one of them being relieving anxiety. It also improves mental focus and enables you to have better concentration. Let’s look at necessary steps in preparing pure kratom tea. Depending on the amount of powder, you can adjust the concentration and enhancement of flavor. First boil a cup of water, then directly add the desired amount of kratom powder into the water. Lower or turn off the heat and allow the tea to simmer for a minimum of 15 minutes. Pour the tea in a cup while using a filter. You can dispose of the powder that is on the filter or save it for another use, and if you prefer, add some flavor with honey and lemon. There are several kratom tea recipes that are made to cover up the acidity and bitterness that comes with kratom tea. So, here are a few that reduce the acidity and enhance the tea’s overall flavor. This is one of the most effective recipes for kratom tea, because chai contains many potent herbs like star anise and cardamom, which mask the bitter flavor and make it a really enjoyable drink. This recipe can help you in reducing your addiction to caffeine and the side effects that come with caffeine addiction. If you want to make chai blend kratom tea, you can either do it from scratch or use a more convenient method where you will purchase chai tea packets or chai mix. With this convenient method, brew a cup of kratom tea from the recipe above and let it simmer until it is down to ¼ or ½ a cup. Then pour the tea mix to fill the rest of the cup, and if you are using tea bags, add them on top of kratom tea and flavor it with milk, cream and sugar to taste. Maeng Da is one of the strongest strains of kratom and to make this tea you will be needing 2 to 4 grams of Maeng Da crushed leaf kratom. Take a pan and place the crushed kratom, then add 2 and a half cups of water. Boil it until the water evaporates, which usually takes around 10 to 15 minutes. Strain all the liquid into one cup and let it cool for a couple of minutes. You can add honey or sugar to sweeten the tea. If you have been into some of the most popular coffee chains, we are sure that you have noticed that they have pump flavoring available for their variety of drinks. These flavorings can also be effective in reducing the bitterness of kratom tea. They range from fruity to caramel and can really improve the taste of kratom tea. So, brew the tea in the traditional way and wait until it has cooled down before you add these flavorings to enhance the taste. 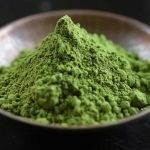 So, with these recipes and preparations we hope that you will successfully brew kratom tea and enjoy its taste and the numerous benefits that kratom already has.